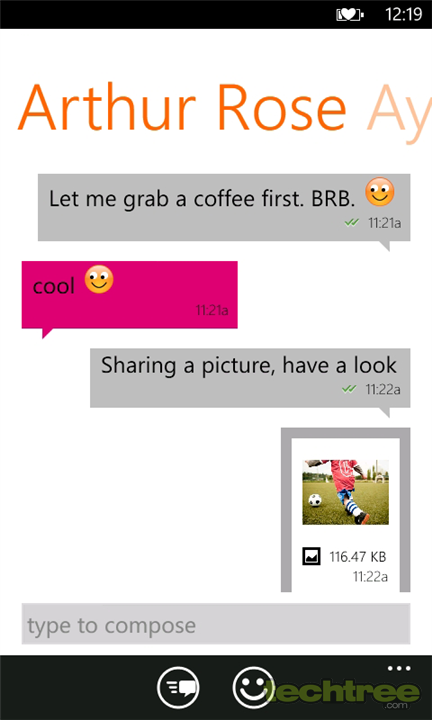 Chat with friends across Facebook, Google Talk, Yahoo!, and Live Messenger through your Windows Phone. Nimbuzz has finally landed on Windows Phone 7.5, after having taken its own sweet time. While it may not be as famous as WhatsApp, it was all the rage when dumb phones ruled the world. The software is now available for almost every major platform, including Symbian, Android, iOS, Blackberry, Java, Windows, and Mac OS. The app allows you to chat with with your buddies across Facebook, Google Talk, Yahoo! Messenger, and Live Messenger, in addition to Nimbuzz's own community of over 98 million registered users. It also offers picture-sharing capabilities, an indicator to show when your chat buddy's typing a message, and a plethora of avatars to choose from. Check out the gallery for more screenshots.